The amended Judicial Service Commission Act did not affect a tribunal hearing into misconduct against Western Cape Judge President Hlophe, the tribunal said today. “There is nothing in the amendment act which expressly or impliedly invalidates complaints made before it took effect,” the tribunal said in its reasons for dismissing objections raised by parties involved. The reasons were handed down on Friday by the tribunal after it dismissed objections raised on behalf of Hlophe, and Constitutional Court judges Bess Nkabinde and Chris Jafta last month. The preliminary issues included that the tribunal was not properly constituted in terms of the law on the basis that the complaint it had to investigate was not on affidavit as required by section 14(3)(b) of the Judicial Service Commission Act. Tribunal president Judge Joop Labuschagne on Friday said the tribunal was “forced” to supply its reasons to the interested parties. Labuschagne did not read out the reasons. A copy was handed to the parties involved and journalists were told it would be e-mailed to them. Labuschagne also said the reasons would be handed to Chief Justice Mogoeng Mogoeng. In the document explaining the reasons, the tribunal said the “common cause facts” were that the amendment act only came into force in June 2010. 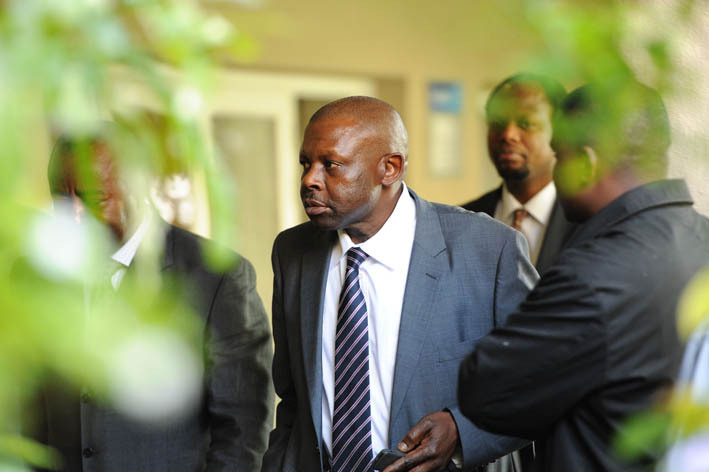 A complaint against Hlophe was lodged by the Constitutional Court judges in May 2008 and a statement handed over in June 2008. “The complaint in the present matter was submitted in terms of section 177 (1)(a) of the Constitution in terms of the rules adopted by the JSC,” the tribunal said in its reasons. Neither the Constitution nor the rules required complaints to be made on oath or affirmation. “We can find no reason why the coming into operation of the amendment act could have invalidated the then existing complaint of the Constitutional Court justice,” it said. Selby Mbenenge, for Jafta and Nkabinde, had argued that the rules for the tribunal had not been gazetted by the justice minister as required by section 5 of the JSC Act. The tribunal said it was its view that the act was not the enabling provision in the matter. “The enabling provision is section 178 (6) of the Constitution. “On a proper interpretation of the relevant provisions, it seems to us that the requirement of publication of the rules is of a more formal nature,” it said. The tribunal said the JSC was entitled in terms of section 178 (6) of the Constitution to determine its own procedure. It adopted the rules and acted in terms of that until the act was amended in 2010. Since July 2008, this was accepted by all the parties involved, it said. The rules were referred to and discussed with approval by the Supreme Court of Appeal on two occasions. “The validity of the complaint and all the rules were never objected to before. It is only now, after more than five years have expired, that these preliminary objections are now argued,” the tribunal said. There was nothing in the JSC Act which suggested that non-compliance with requirements of section 14 inevitably led to a finding that the complaint was invalid, it said. The tribunal said the argument that rule 7(8) of the rules of the Judicial Conduct Tribunal required that witnesses give their evidence orally did not seem to be relevant at this stage of proceedings. This was after Jafta and Nkabinde’s legal representative indicated that the two did not want to testify at the hearing. The tribunal said there were provisions in the rules that indicated that there were other methods of receiving evidence. On the legality of the proceedings, the tribunal said the Judicial Service Commission would be failing in its duties if it did not hold an inquiry when a complaint was lodged against a judge.